Klaus Mayerhanser is Managing Director of Deltacon Executive Search & Recruiting GmbH and is heading up the office in Munich. He assists companies in the industries of Telecommunications and Information Technology, as well as Media / Entertainment and Consumer Electronics in the analysis, optimization and filling of their leadership teams. Before DELTACON, Klaus Mayerhanser was a partner in a Swiss HR and business consultancy firm. 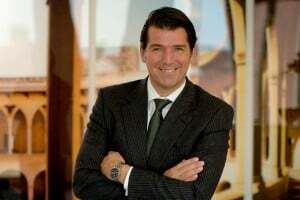 Prior to that, he held positions in sales and marketing for 12 years, most recently as national sales manager with extensive leadership responsibility in a leading German mobile phone company. He held leadership positions within the IT and telecommunications industry and was responsible for setting up, managing and developing sales and sales support departments, as well as for the conception and management of national retail and franchise structures in the B2C and B2B environments. He studied at the Ludwig-Maximilians-University in Munich and graduated with a Master of Science in business administration.